The Digital Research Library of Illinois History Journal™: Lake Park, Chicago, Illinois, later renamed to Grant Park. Lake Park, Chicago, Illinois, later renamed to Grant Park. 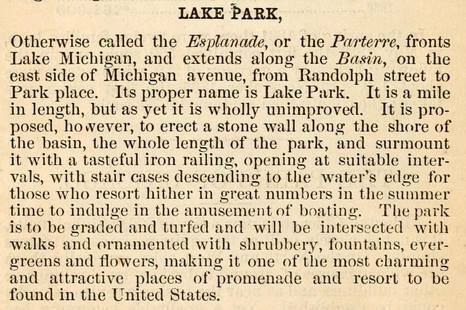 Chicago's Lake Park was officially designated as a park on April 29, 1844. 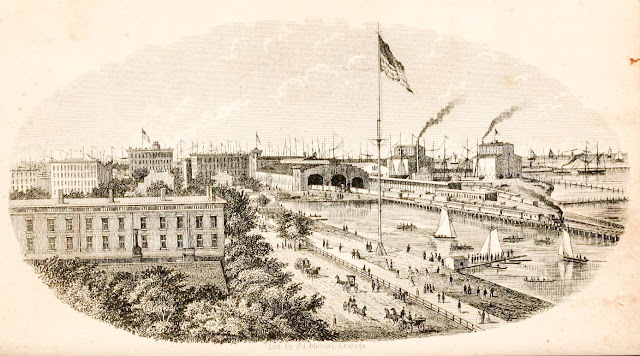 When the Illinois Central Railroad was built in Chicago in 1852, they were permitted to build a breakwater allowing the trains to enter along the lakefront on a causeway built offshore, just west of the breakwater. Click to view a full size image. The resulting lagoon between the man-made breakwater and the shoreline became a stagnant pool with unruly garbage and waste. The stench was so bad that the lagoon was filled in 1871 with rubish and debris from the Great Chicago Fire. 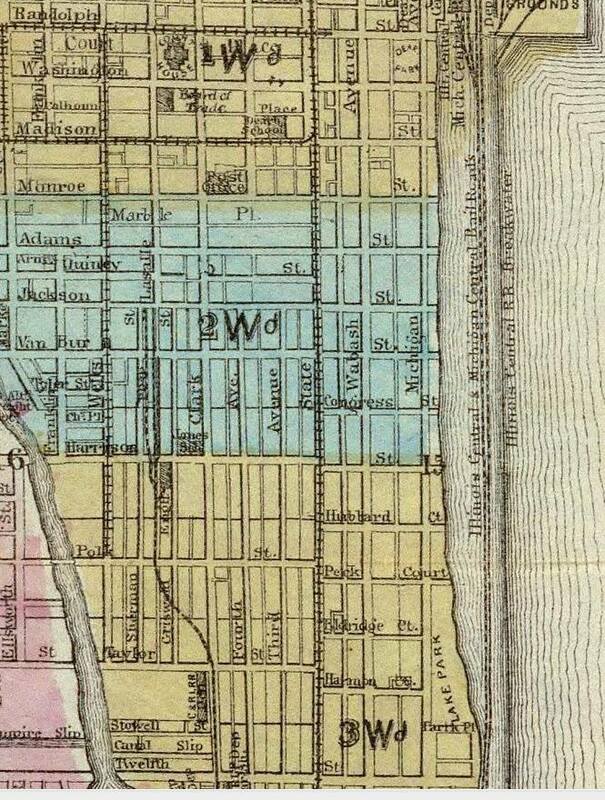 An 1868 Chicago Map showing the Illinois Central Railroad causeway. In 1896 the city began extending Lake Park into the lake with additional landfill. On October 9, 1901, Lake Park was renamed Grant Park in honor of Galena, Illinois resident, American Civil War General and United States President, Ulysses S. Grant.